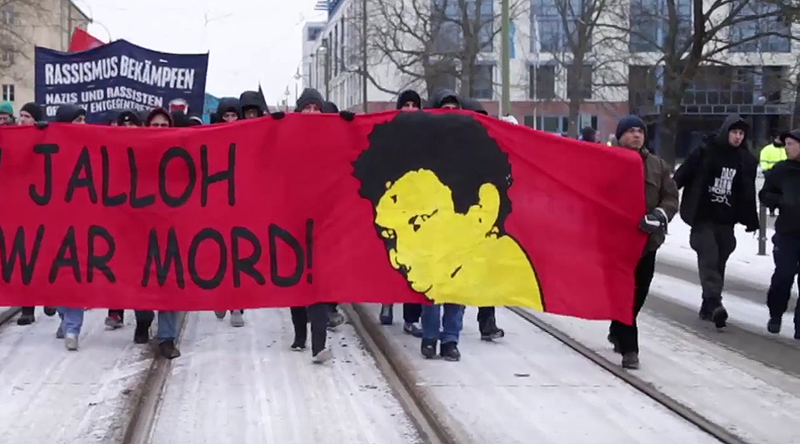 A commemoration march marking 12 years since the death of Oury Jalloh, an asylum-seeker who was killed by a fire in a police cell in Dessau, attracted an estimated 1,100 people on Saturday. The case of Jalloh, a Sierra Leone national, sparked outrage after the public learned how he was restrained to a mattress as he remained alone in the cell, with police ignoring a fire alarm. The march was one of the biggest the small eastern German city has seen in years. In addition to Jalloh, it commemorated several other victims of police brutality and negligence, Mitteldeutsche Zeitung reported. The activist demanded the promised release of a report into the cause of the fire which killed Jalloh. The document is to be published some time after the anniversary of his death. The protest was somewhat marred by some activists throwing flares into the mailbox of the public prosecutor’s office.